Confucius was a wise sage who sought to educate his fellow citizens on the ancient wisdom of moral precepts. Confucius was born around 551BC to a modest family. His father was a soldier and his mother educated him in the ancient ceremonies, poetry, music and etiquette of the ancient courts. Confucius was fascinated with these moral and cultural precepts known as ‘Li’ However, he was born in a time of religious and cultural decline. The great Chou dynasty was in decline and it was being replaced by petty fiefdoms fighting for supremacy. After the death of his mother, Confucius spent three years in seclusion and bereavement; this enabled him to focus on his philosophic ideals. On the end of his period of seclusion, he became a teacher, teaching people from all classes in the ancient arts of Li. Confucius soon became the acknowledged expert in the art of Li and he became chief sage to the Duke of Lu. However, the Duke of Lu was expelled from his city by a revolt of ministers. Confucius followed him into exile and spent the next 14 years perfecting the ancient codes of conduct and morality. Confucius taught the importance of self-introspection. In particular, valuing the true motives and performing one’s duty to the best of his ability. 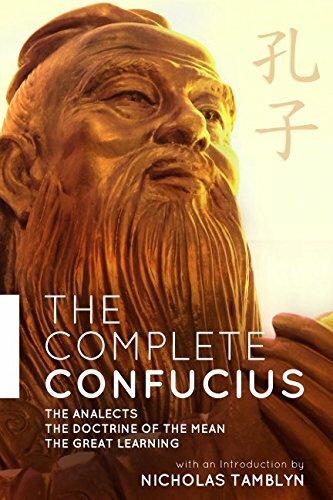 Confucius was widely loved by his students – breaking with tradition, he became friendly and got to know them on a personal level and teaching them depending on their personalities and character traits. Despite his glowing reputation, Confucius often encountered difficulties from those who opposed him or were jealous of his influence. Towards the end of his life, Confucius despaired at the difficulty of returning society to justice and order. 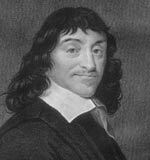 However, in his later years, he wrote prodigiously explaining his key concepts and teachings. After seeing a wounded antelope, Confucius predicted his own death and died shortly after. Although relatively unsuccessful in his own time, his philosophy took hold around 200BC and played a huge role in influencing future Chinese society and Chinese philosophy. Confucius did not claim miracles or any divinity but had great faith in the power of education, respect for the past, righteous conduct, and reform of corrupt practices. Citation: Pettinger, Tejvan. “Biography of Confucius”, Oxford, UK www.biographyonline.net Published 28 November 2008. Last updated 9 February 2018.